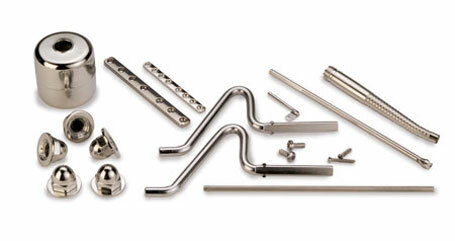 Make your parts last longer with passivation. Improve corrosion resistance with this chemical cleaning process. Able Electropolishing has been a leading innovator in the metal finishing industry since 1954, helping customers make their parts perform better and last longer. When you passivate your stainless steel parts with Able, you remove the contaminants that can impede part performance and lead to premature part replacement. Contaminant Removal - Passivation removes free iron and other surface contaminants from stainless steel parts, eliminating the contamination left behind by metal forming processes like machining and stamping. Improved Corrosion Resistance - By restoring stainless steel parts to mill condition, passivation improves their corrosion resistance. 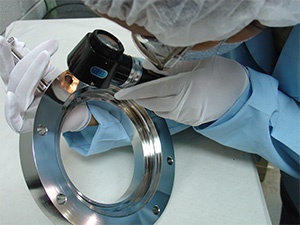 The contaminants left on the surface of a part are initiation sites for corrosion to take hold..
Industry-leading Experience - With more than half a century of experience in metal finishing, Able Electropolishing serves thousands of companies around the world. Our technology, speed and expertise make us an international standard in the manufacturing process. 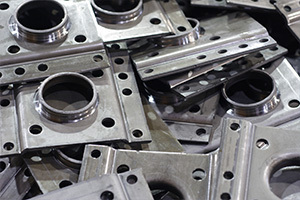 Our Facility - Our 40,000 square foot facility in Chicago allows us to process a high volume of small and large parts. Our largest tank measures 30" x 36' by 186", allowing us to accommodate even oversize stainless steel parts. Fast Service - Our facility operates 24 hours, with staff working across three shifts. This allows us to offer expedited service for even quicker turnaround, so when you need parts in a hurry, we can help. Eco-friendly Practices - Able was awarded a Certificate of Commendation from the Metropolitan Water Reclamation District of Greater Chicago for our commitment to environmentally-sound practices. We pride ourselves on waste minimization, water conservation and other practices that make our metal finishing more eco-friendly. Is Passivation Right for Your Parts? For all its benefits, passivation isn't compatible with non-stainless alloys. For those parts not compatible with this process, Able Electropolishing offers a variety of alternatives, like our signature Brite® Passivation finishing. Contact us today to see how we can improve the performance and extend the life of your parts! Contact us to learn more about our metal finishing services, request a quote or send us your sample part for electropolishing.